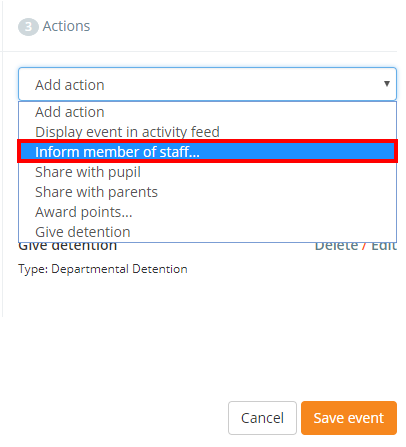 To inform the pupil's form tutor when an event is triggered, ensure that you have set up form tutors in Class Charts (SIMS linked schools will have form tutors assigned automatically) and click on the Analytics option in the top menu. 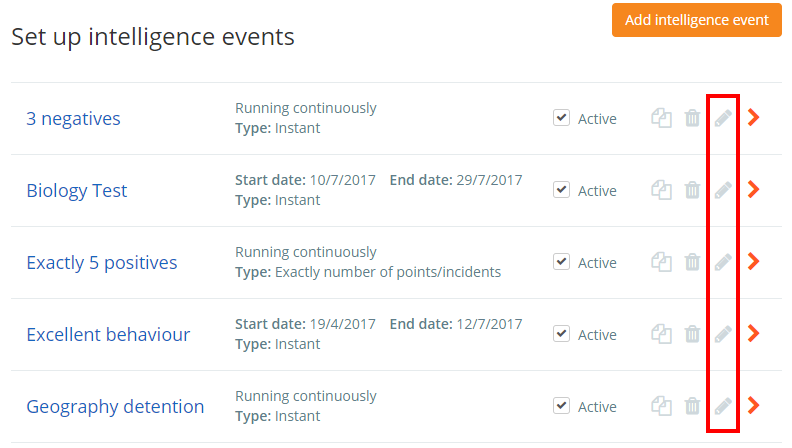 In the Actions column, select Inform member of staff from the Add action drop down menu. Another popup will appear. Tick the Form tutor option to inform the pupil's form tutor when the intelligence event is successfully triggered.